It’s weird to think that our time as a family of three (four with Webster) is coming to an end. I know that life will be so much more full after our next little boy arrives but it makes me sad to see this season of life come to an end. Charlie is my buddy and I think my biggest worry about the future is how he will react when attention isn’t completely devoted to him. In the grand scheme of things, it will be good for him. This kid needs to know he doesn’t rule the world (he kind of does) but I’ll always cherish these last two years when Dave and I had no idea what the heck we were doing. We have been packing in so many family activities before we hibernate for the next couple months – including family walks, date nights, trips to the park and getting outside to enjoy the fall weather. I swear dressing Charlie becomes more and more fun as he gets older. Old Navy always has the cutest styles for kiddos (and the entire family). Every year I seem to buy him a puffy vest and this plaid style comes in the best colors! I love it layered over his little thermal tee. He kind of matches his dad! Also, you guys need this skirt. It is adorable and looks so expensive! I love the boho vibe that comes with fall. The temperatures are perfect for adding layers without sacrificing style. Old Navy’s sweaters are the perfect compliment to any outfit and adds some texture to your look – a few of my favorite styles here, here and here. Layering a flannel shirt over Dave’s thermal tee is a relaxed way of adding warmth while maintaining that fall feeling. My boys look so cute. Just for fun, I thought I’d share 10 completely random facts you may not know about us! Dave bought Webster two month’s after we started dating. He found him advertised in the Chicago Tribune for $500 in the saddest advertisement ever, haha. He is from a breeder in Wisconsin but Dave drove 2 hours west of the city to get him. He named him Webster because he lived on Webster and Seminary at the time. I hate the name Liz. Sorry if that’s your name! I’ve never really felt like a Liz and Elizabeth is so pretty, it’s sad that it has to be shortened. But, it’s been my name since high school so it is what it is. Charlie was born with a tiny cluster of cells on his left cheek that kind of looks like a scar (it’s really hard to notice). In ultrasounds he always had his hands near his face and the doctor said the cluster of cells was most likely caused by him pinching his cheek during development! We live on Adams Street. Adams on Adams! Charlie loves when Dave and I show affection for one another. Whether we are hugging or sharing a quick kiss, Charlie sits and watches us with the biggest smile. It’s adorable. Webster is absolutely terrified of everything. He tries to chase squirrels and when he sometimes gets too close he gets scared and runs the other way. Dave is the most clumsy/loudest human being on the planet. I swear Charlie is a good sleeper because he has learned to sleep through Dave’s falls, trips, knocking something over, etc. Even when he tries to be quiet, it’s loud. It really blows my mind. Our favorite kind of date night included pajamas, a cheese board (or a pizza, ha) and red wine on our couch. Dave wants two kids and I want three. I feel like we have to try for a girl but if I have a third boy, I’m done. There is only so much testosterone this mama can take. In collaboration with Old Navy. I think Liz is a lovely name! But I do get what you mean about hating your own name. I hate mine. Charmaine just sounds so frilly and girly and I’m not that. Such a cute post, I love reading little facts like this! 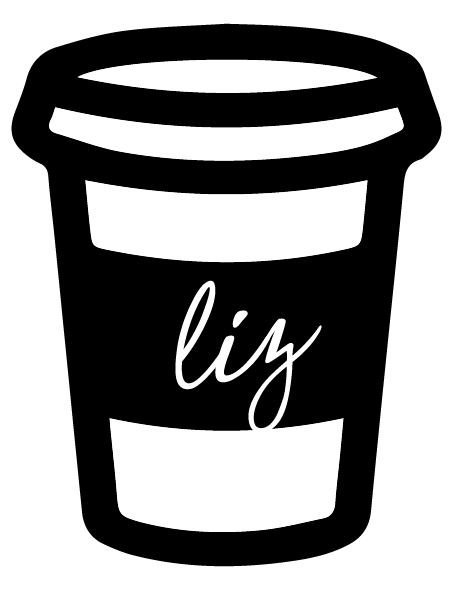 I totally get not liking your name (I feel like most people would say the dislike their own name) but I think Liz is super cute! This post was so much fun to read! Thank you so much for sharing all of these fun facts. My husband and I love those date nights in as well, they’re the best! This was fun to read and totally did not expect to read that you did not like the name Liz! I’m shocked you kept it around! I think it is a pretty name! I love this! Great stuff 🙂 We have 2 girls…Some days I’m tempted to try for a third because I’ve always wanted 3 kids – but honestly I am not sure I’d know what to do with a boy? And my husband says he is good with 2 daughters and is scared that a 3rd would be a girl too. Talk about too much estrogen – Ha! I’m Elizabeth too! Was Liz in high school and college, and decided to go by Elizabeth at work after school, and slowly but surely people are starting to call me Elizabeth again. Wish I never shortened it! This post is really cute! #10 is my favorite. My husband is also the loudest person on the planet. It’s almost worse when he’s actually trying to be quiet. This is great! Do you have any suggestions on cute but affordable dresses to wear to my upcoming baby shower. It’s a girl and the shower is at the end of this month. I don’t like spending a ton on maternity since I won’t wear them much longer. I don’t think Liz is a bad name! This post is so cute!! We named our daughter Elizabeth (after having two sweet little boys!). She’s almost four now but people still always ask me what we will call her. And I always say “Elizabeth!” There are so many pretty variations of the name but I have always loved Elizabeth in its original form.